SSC CHSL 2016 will also be conducted online : It's Official Now! Hello Readers, in a recently released notification, the Staff Selection Commission has announced that the SSC CHSL Exam 2016 will be online. Detailed notice about the SSC CHSL Recruitment 2016 will be published soon. 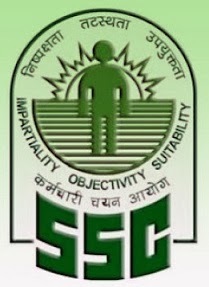 This year, SSC also conducted the SSC CPO Exam Online and will conduct the SSC CGL Exam in the same mode as well. Click here for getting detailed information about the Exam pattern, Level of questions, exam and result dates of SSC CGL 2016. The Notice of the abovementioned exam was scheduled to be published on 2nd July, 2016. However, the Commission proposes to conduct the exam in the Computer Based Examination Mode, for which modalities are being finalised. Immediately after completion of the necessary formalities the Commission would upload the Notice on the Website of the Commission as well as its Regional Offices.